Happy spring from Green Modern Kits! 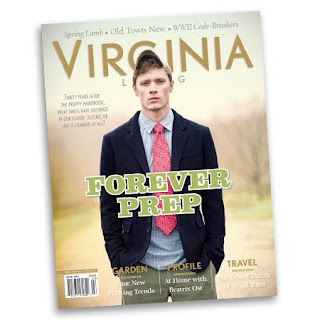 We were thrilled to be included in the latest issue of Virginia Living, on stands now, and chuckled that we are in their renowned Forever Prep Issue (huh?). 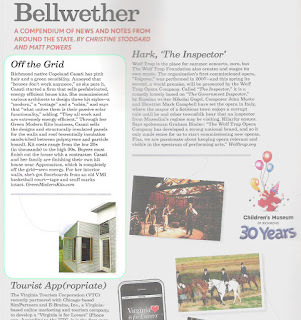 : ) Here's a glimpse! I am currently preparing for my annual trip to New York, for ICFF, where we will be announcing the latest on our joint venture with Akemi Tanaka: a line of affordable modern furniture that does multiple things designed specifically for our prefab house kits! 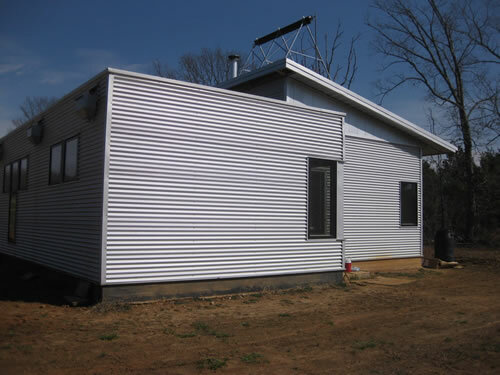 If you have followed my own prefab house kit construction blog, you know that although the house kit went up in a week, finishing it was another matter. We decided to frugally walk through the economic uncertainty, which is my philosophy regardless, hence our completion was in even longer stages as it is not yet our primary residence, and that our contractor, plumber and electrician are all working on it part time themselves. 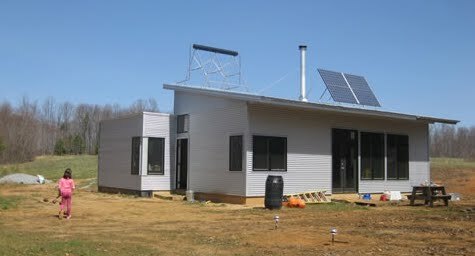 Hence, no Spring Open House will be held, but look ahead to fall when I will be throwing a MY PREFAB HOUSE KIT IS COMPLETED party! We are finishing up, adding the final pieces (rainwater cistern, finishing the interior of the SIP) now, so I will be happy to show it off to the public this summer / fall.